Listed below are a selection of sites which have been designed by GD Web Design. Note that all the links to the sites below open in a new tab. Quality traditional baby and child wear. Clothes for boys, girls and special occasions. Also a offering a wide selection of prams. 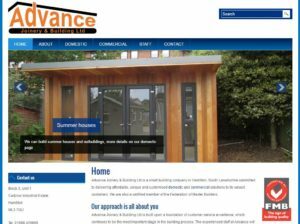 Advance Joinery & Building Ltd is a small building company in Hamilton, South Lanarkshire committed to delivering affordable, unique and customised domestic and commercial solutions to its valued customers. They are also a certified member of the Federation of Master Builders. Florist in Hamilton, same day delivery for all occasions. Put a shine on your blinds. 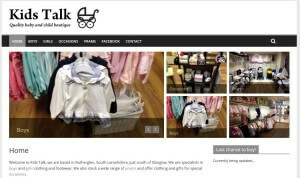 The EK Hangout is unique; it’s the only club in East Kilbride for young adults aged 18-25 with disabilities.Site includes online store as well as integration with social networking sites. Built on WordPress and updated by the groups organisers. I also maintain and update a range of existing sites as well as carrying out search engine optimisation (SEO).